There is an issue with the climatronic on the e-Golf. It will not remember the last setting so when you get back in the car it resets to a default of 72F / 22C. There is a tech tip for the 2015 and 2016 e-Golf and I'm trying to implement this on my new 2018 e-Golf. The tech tip is TT 87-15-02. There is a user on MyVWeGolf who said it got it to work on his 2017, but I cannot get it to work on mine. I cannot get the value to change from inactive to active, in my case the first time I try to change the value I get an error saying "value out of range", and the second time saying "the value was rejected by the controller and it will probably fail" (or something to that effect). Looking for any insight as how I might set this value on my e-Golf? Here is a log from a scan I did just after I got it home from the dealer. The only change I made prior to the scan is I changed the setting to remember both driver and passenger electric seat heater setting. I was able to change the setting, but it did not work. After I get back in the car where I previously had the seat heat on, it is set to off, so it's not remembering the last setting. I have since set it back to the way it was. Having gotten a bit of time to assemble screen shots today, I’ll follow up with more detail. While the TT only cites 2015-2016 models, 2017 owners have reported elsewhere that dealers have applied the fix to 2017 instances as well. Though it isn’t completely certain whether or not they are using 87-15-02TT as written on a 2017, I haven’t found anything newer on on the topic in erwin. 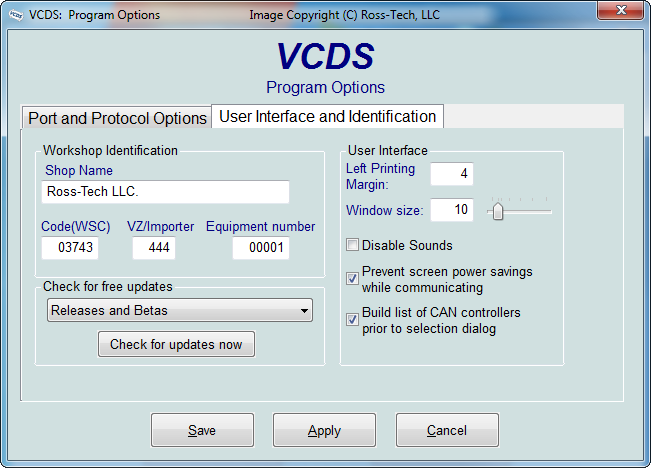 The VCDS process described in http://www.myvwegolf.com/forum/viewt...hp?f=12&t=1128 suggests an error will pop up on the first attempt of changing to “activated”, but the controller will accept the request on the second. I'm fairly low on the VCDS learning curve, so have no real idea what is going on there. Terminology footnote: On a German language forum, I found MAS07251 described as “Einschaltverhalten”, which Google Translate says is “Switch-on behavior”, which is also the terminology 87-15-02TT, uses. Curious about the origin of “cut-in behavior” in VCDS. Curious about the origin of “cut-in behavior” in VCDS. That's VAG's own translation. They will set people to do translation who are not native English speakers and who may be lacking appropriate context for the strings being translated as well. When we see stuff like that, the question is: Should we improve it, or should we leave it the same as it would be in the factory tool? The importer number for Canada is 999. These don't have any functional effect on anything, but the module may not like the fact that we're trying to put back the same values it already has (which might be factory defaults). After you change the values on that screen, click [Save], then exit and restart VCDS before you try the Adaptation again. Has this worked on your car? FYI, I tried yesterday with exact above instructions and was unable to make it work. Can we try anything else? Many thanks! I have the exact same problem on my MY2018 e-golf. As well as everyone else with VCDS and the facelift model, according to forums. I have tried with two different WSC, Importer, and Equipment number combinations that I know are both valid: one used for preparation of new cars before delivery (software update etc. ), and one used by an authorized local dealer. Dealers are now able to change this with their own tools on the very same facelift cars, so clearly there must be a bug here, either in VCDS or in the module itself. Edit; Using latest VCDS software version 18.2.1 and HEX-NET interface with latest firmware installed. Last edited by Erlingni; 05-29-2018 at 03:51 AM. Another possibility is that nobody presently understands what the dealers' tool is actually doing when it changes this. If we knew what the "magic trick" was, we would happily tell you guys. Unfortunately, the e-Golf is not sold in Pennsylvania, nor is it likely to have a customer bring one to us to play with because they don't have sufficient range to make it here.